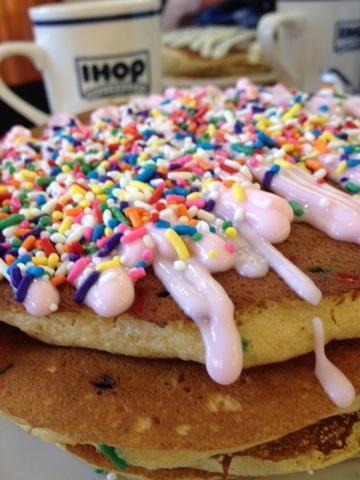 wheat pancakes with sprinkles baked into each pancake making each bite super sweet and exciting. 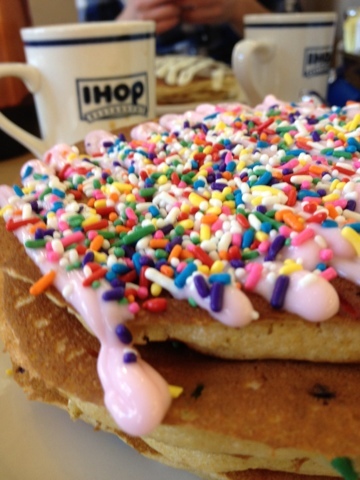 The pancakes come stacked topped with strawberry gogurt and more sprinkles. 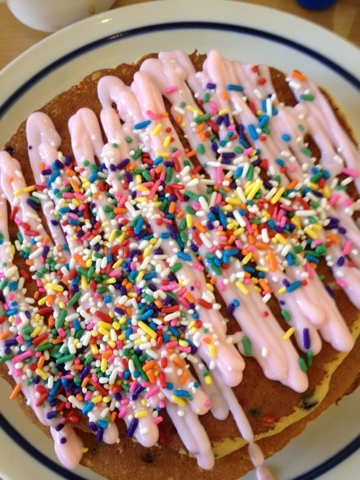 I definitely recommend trying this of you're a fan of funfetti anything, cupcakes, or doughnuts. These are amazing.